Last season’s Philippine Cup Finals rematch this Sunday night at the SMART Araneta Coliseum yielded a familiar result. Riding their blowout win over Blackwater four days ago, the San Miguel Beermen obliterated the Magnolia Hotshots, 113-92, for their second straight victory. The game had never been in doubt right from the get-go as San Miguel opened the match with an 18-2 scoring spree, and that opened the floodgates that drowned the opposition to as deep as 24, 112-88, in the game’s final minutes. The reigning, four-time all-Filipino champions have improved to 4-3 — their first time to build a win streak and to go above .500 this conference — to go solo third in the team standings while sending the Hotshots to a 0-2 hole. 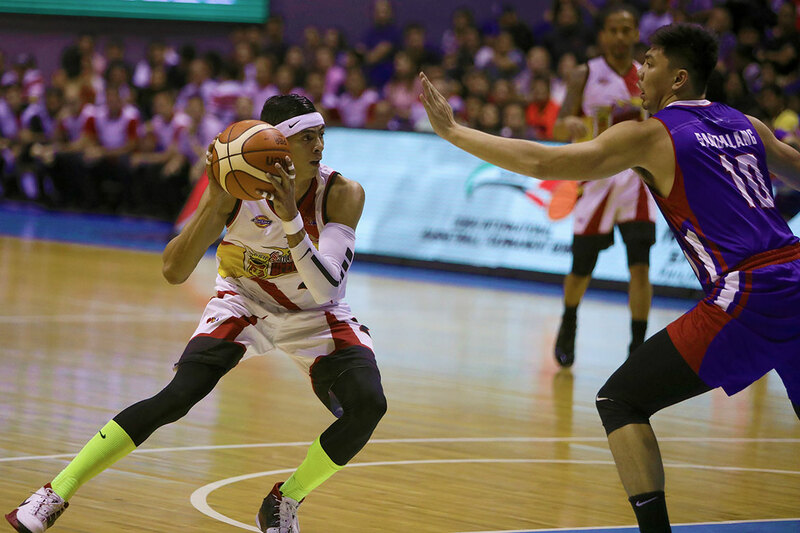 Arwind Santos led the Beermen with 29 points on 11-of-17 shooting from the field, while Terrence Romeo continues to show that he’s found his role with his new team, producing 23 points on an excellent 80-percent shooting clip. June Mar Fajardo had 22 points and eight rebounds. “Our last game against Blackwater gave us momentum. Wala akong masabi sa mga players. They were so focused. Maybe they know what’s the importance of this game because Magnolia is really a tough team,” said coach Leo Austria. “They’re really focused on this game because this is Magnolia, a champion team also. And, everybody responded eh. Alam nila eh, na our back is against the wall, dahil it’s hard to be 3-4 with four games remaining,” he added. Alex Cabagnot was the other Beermen who finished in double figures with 11 points, along with four assists, three rebounds, and three assists. 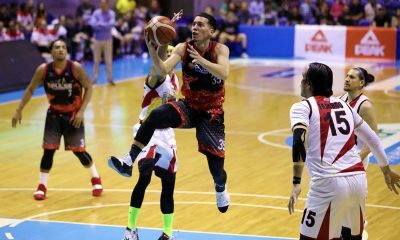 Cabagnot’s four dimes have pulled him abreast of 1980 league MVP Philip Cezar for number eight in the all-time list, according to stats chief Fidel Mangonon III. They both have 3,130 assists in their respective careers. And one of Cabagnot’s steals had been the 674th of his career, moving him into the PBA’s Top 10 all-time, overtaking NLEX Road Warriors shooting guard Cyrus Baguio who slides to 11th overall, according to Mangonon. Ian Sangalang led Magnolia with 19 points and five rebounds. Anxious faces were seen in the Magnolia bench when guard Mark Barroca went down with an apparent ankle injury after accidentally stepping on Santos’ foot with 2:56 left in the first half. He returned though but only had four assists. 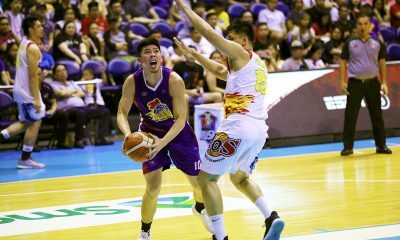 SMB will look to keep going versus the NLEX Road Warriorss on March 8 still at the Big Dome, while Magnolia will try to avoid going 0-3 versus the Rain or Shine Elasto Painters this Wednesday, February 13, at the Mall of Asia Arena. 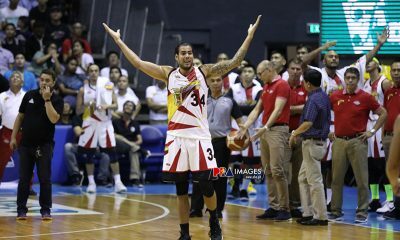 San Miguel 113 — Santos 29, Romeo 23, Fajardo 22, Cabagnot 11, Lassiter 9, Ross 6, Nabong 3, Tubid 3, Pessumal 3, Mamaril 2, Zamar 2, De Ocampo 0, Vigil 0, Lanete 0. Magnolia 92 — Sangalang 19, Lee 16, Dela Rosa 14, Brondial 12, Jalalon 11, Pascual 8, Simon 4, Calisaan 4, Abundo 2, Gamalinda 2, Barroca 0, Reavis 0, Herndon 0, Melton 0.